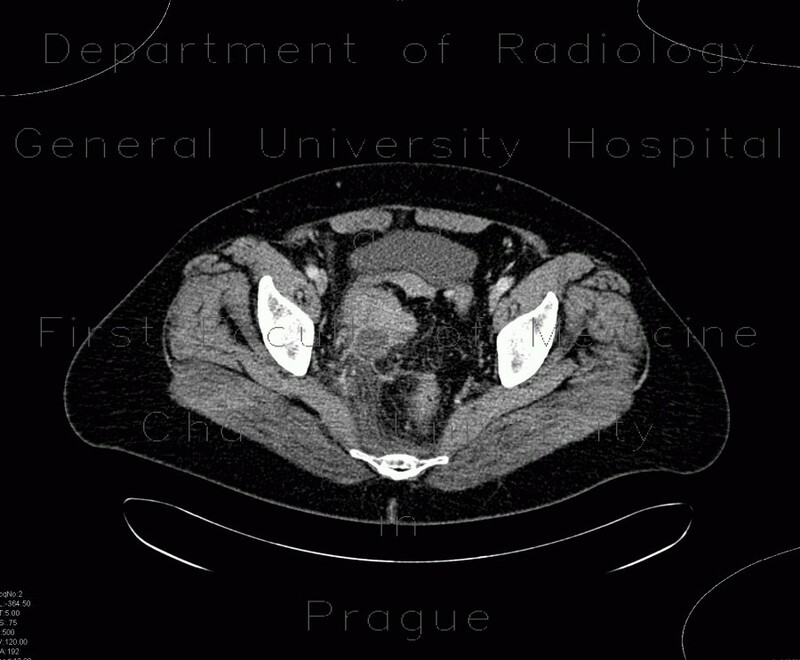 There is an enahncing mass in the right side of the pelvis, which infiltrates the sigmoid colon and the right ovary. In the right upper quadrant, a globular mass on the peritoneum can be appreciated. The differential diagnosis includes primary neoplasm of the sigmoid colon and the ovary (where peritoneal spread is typical). Histology proved sigmoid adenocarcinoma.